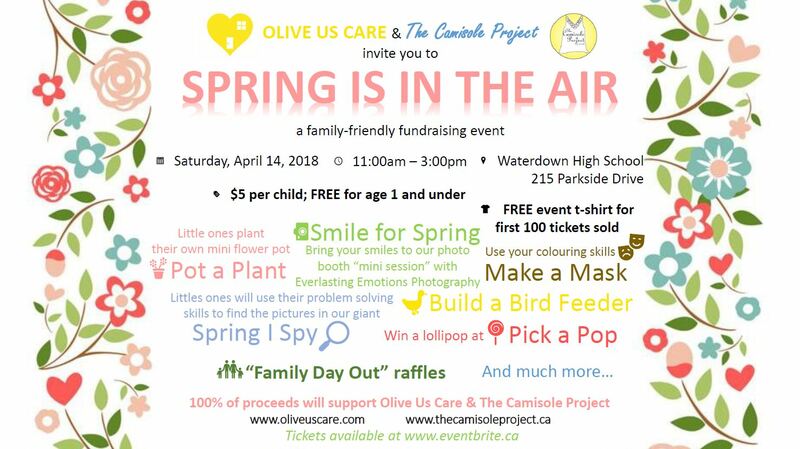 A joint fundraising event on Saturday April 14-2018 from 11am-3pm at Waterdown District High School. 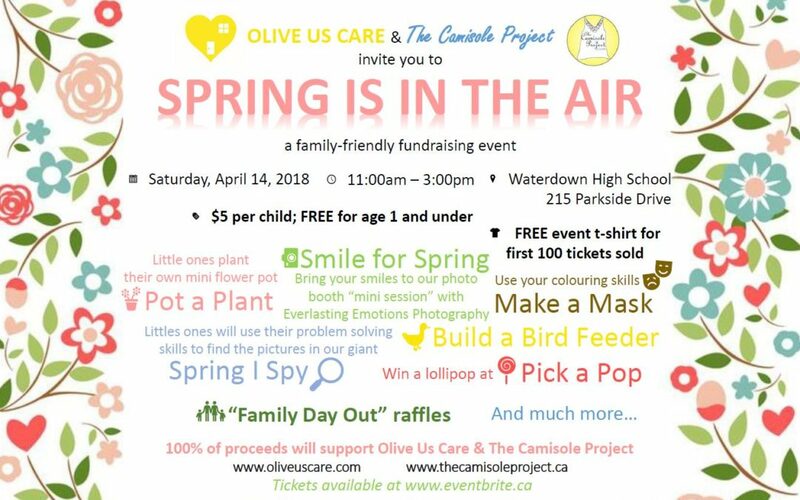 This is a family-friendly, hands on event to raise funds for THE CAMISOLE PROJECT’S Because.We.Care.Packages and OLIVE US CARE, a free in-home childcare service for families living with cancer. Please call me if you would like to pre purchase your tickets $5 per child and the first 100 kids will receive a T shirt!